Baptism. Bishop R G Mlambo of the First Apostolic Church of Christ in Zion of SA,(44) of 16 Central Western Jabavu, Soweto. Leading his congregation after an all-night service towards the river on the outskirts of Soweto where he was going to conduct a baptism. 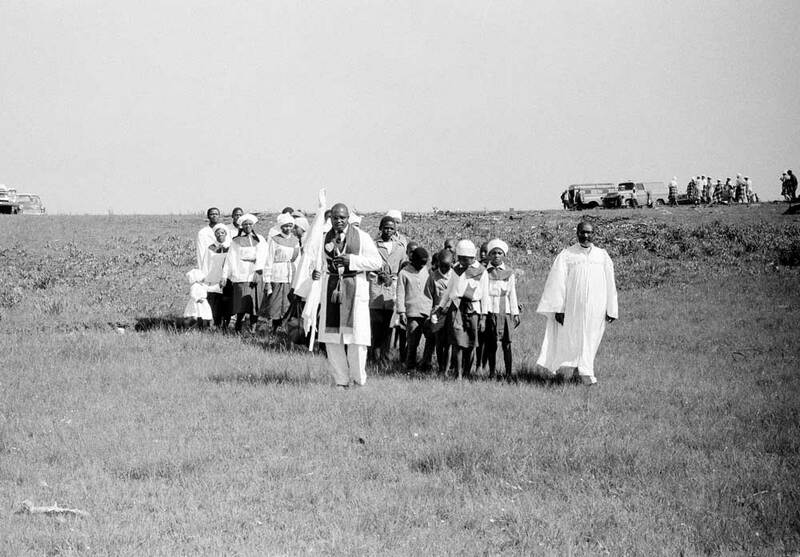 West, Martin, “FACC Bishop Mlambo leading congregation towards river for baptism, Soweto,” Martin West, accessed April 20, 2019, http://www.martinwest.uct.ac.za/items/show/10439.